Bolton, K. & Meierkord, C. (2013). English in contemporary Sweden: Perceptions, policies, and narrated practices. Journal of Sociolinguistics, 17(1): 93-117. https://doi.org/10.1111/josl.12014（2019年3月アクセス）. Eberhard, D.M., Simons, G.F. & Fennig, C.D. (eds.) (2019). Ethnologue: Languages of Sweden: Twenty-second edition data. Ethnologue: Languages of the World. Twenty-second edition. Dallas, Texas: SIL International. Online: http://www.ethnologue.com（2019年3月アクセス）. EF (2018b).「EF EPI報告書 第8版（2018）」. 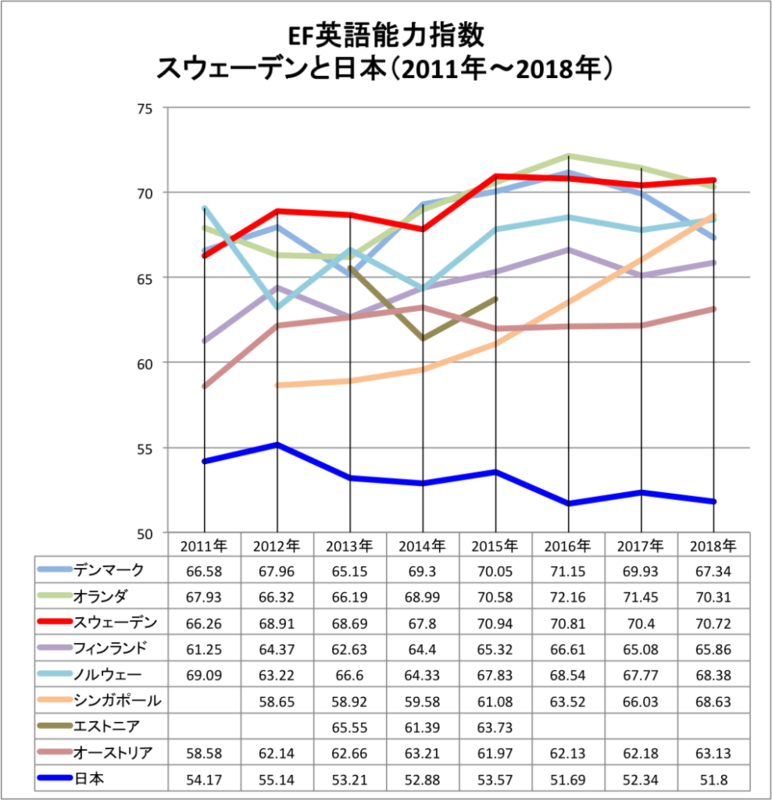 https://www.efjapan.co.jp/__/~/media/centralefcom/epi/downloads/full-reports/v8/ef-epi-2018-japanese.pdf（2019年3月アクセス）. EF (2018c). EF EPI 2018 REGIONAL FACT SHEET: Sverige [SWEDEN]. https://www.ef.com/~/media/centralefcom/epi/downloads/fact-sheets/v8/ef-epi-country-fact-sheet-v8-se-en.pdf（2019年3月アクセス）. ETS (2018a). 2017 Report on Test Takers Worldwide: TOEIC Listening & Reading Test. 国際ビジネスコミュニケーション協会. 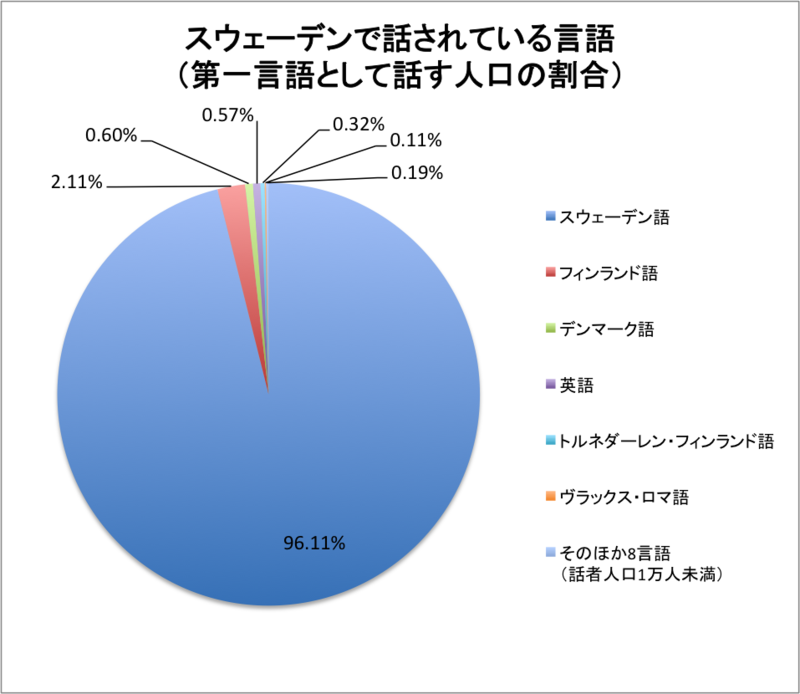 https://www.iibc-global.org/library/default/toeic/official_data/pdf/Worldwide2017.pdf（2019年3月アクセス）. ETS (2018b). Test and Score Data Summary for TOEFL iBT Tests: January 2017 – December 2017 Test Data. https://www.ets.org/s/toefl/pdf/94227_unlweb.pdf（2019年3月アクセス）. IELTS (2018). Test taker performance 2017. https://www.ielts.org/teaching-and-research/test-taker-performance（2019年3月アクセス）. Norrby, C (2014). 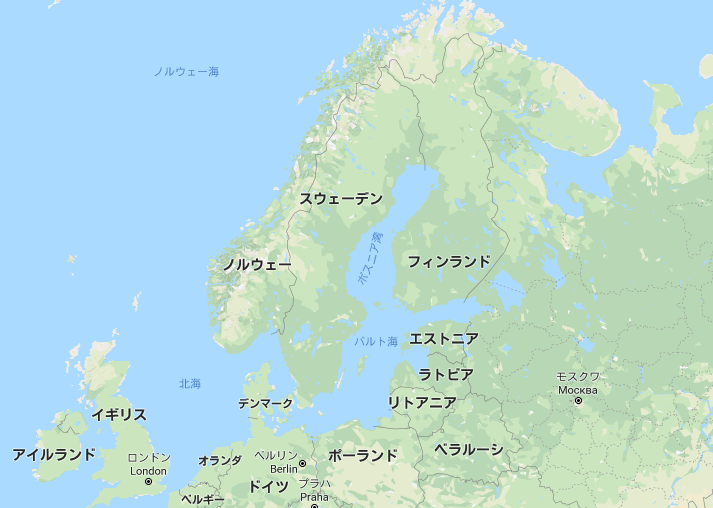 English in Scandinavia: Monster or Mate? Sweden as a Case Study. Sundqvist P. (2011). A Possible Path to Progress: Out-of-school English Language Learners in Sweden. In: Benson P., Reinders H. (eds) Beyond the Language Classroom. Palgrave Macmillan, London. Sundqvist P. & Olin-Scheller, C. (2013). Classrom vs. Extramural English: Teachers Dealing with Demotivation. Language and Linguistics Compass, 7(6): 329-338. https://doi.org/10.1111/lnc3.12031（2019年3月アクセス）. 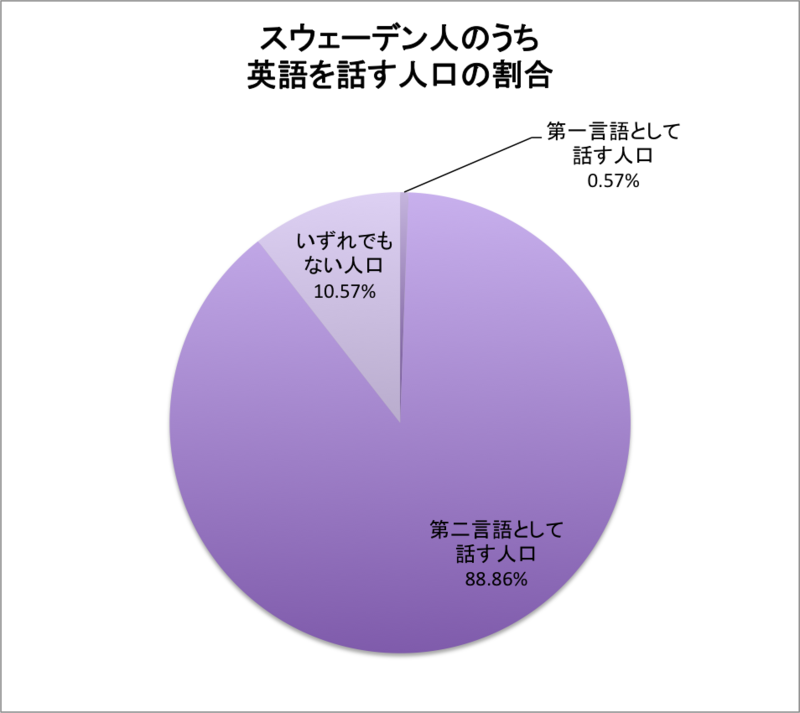 国際ビジネスコミュニケーション協会（2018）.「TOEIC Listening& Reading Test受験者数の推移」. 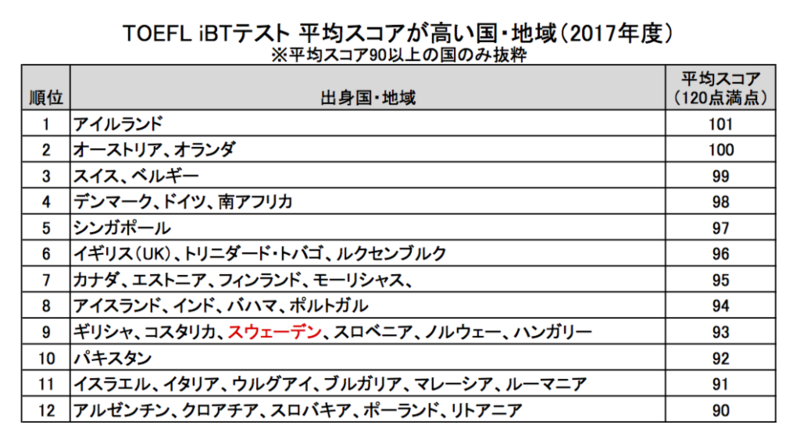 https://www.iibc-global.org/library/default/toeic/official_data/lr/pdf/lr_transition_2017.pdf（2019年3月アクセス）.